Liverpool have reportedly told suitors that midfielder Marko Grujic is available for just £4.5 million once the winter transfer window reopens in January. 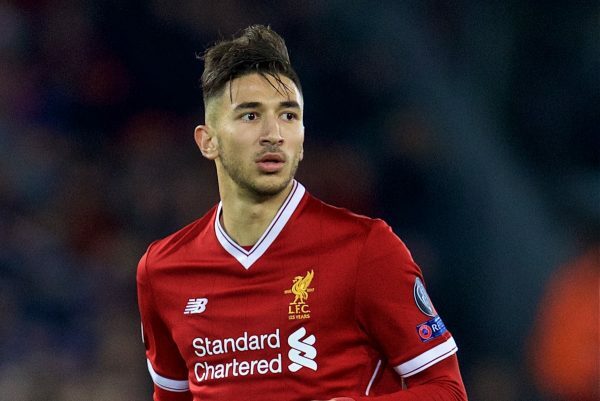 Marko Grujic who is currently on a loan spell at German side Hertha Berlin joined the Anfield side in January 2016 and he seems not to be wanted again at the club. Although he had signed a new deal with Liverpool before his loan move to Germany, the Reds are desperate to let him leave anytime soon after he failed to break into the first team. The Reds have got a number of options in the middle which makes it difficult to find a space in the Jurgen Klopp team. It is therefore not clear if the German side will be willing to have him on a permanent deal as they have got the option to do so. Marko Grujic is believed to have a number of suitors even in the Premier League. Liverpool will now hope to receive offers from suitors in coming weeks after the declaration. The Reds are currently second in the Premier League table behind Man City and will not be willing to keep any player that will not add to the strength of the team.